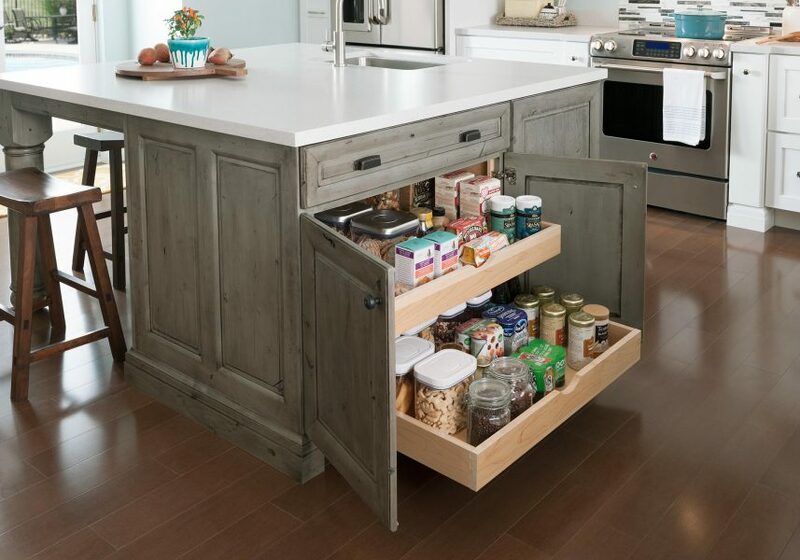 Maximize storage of cooking supplies or pantry items with roll-out trays. Pull out each shelf effortlessly using the front scoop. Includes two adjustable roll-out trays. Includes shallow top drawer to allow installation of cooktop in countertop.